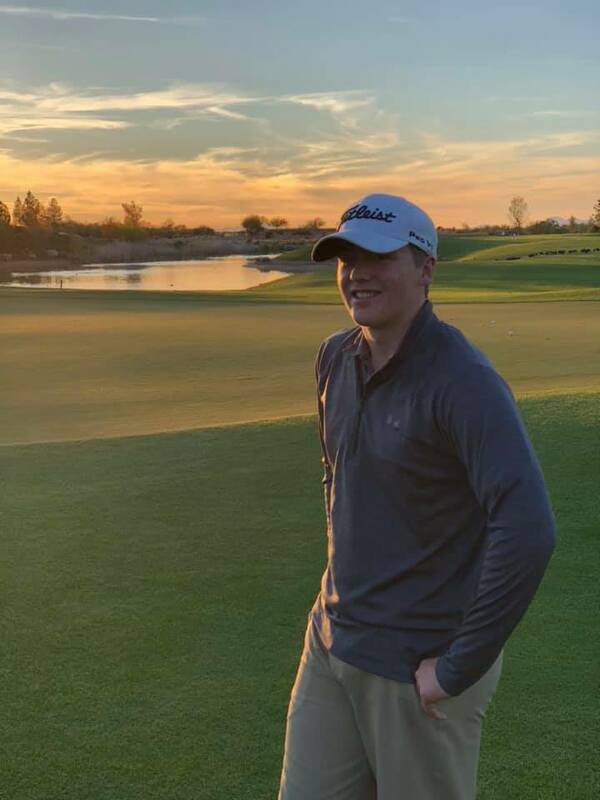 Very proud of Paul Weyland Junior Golf Academy student Jake Slocum for his recent fine play in the Saguaro Amateur Series- Gobbler Men’s Amateur in Tucson, Arizona. Jake’s rounds of 68, 72 and 71 for a 2-under par total on a difficult 7,400 yard long golf course gave him 9th place out of 88 competitors. Jake is 16 years old. 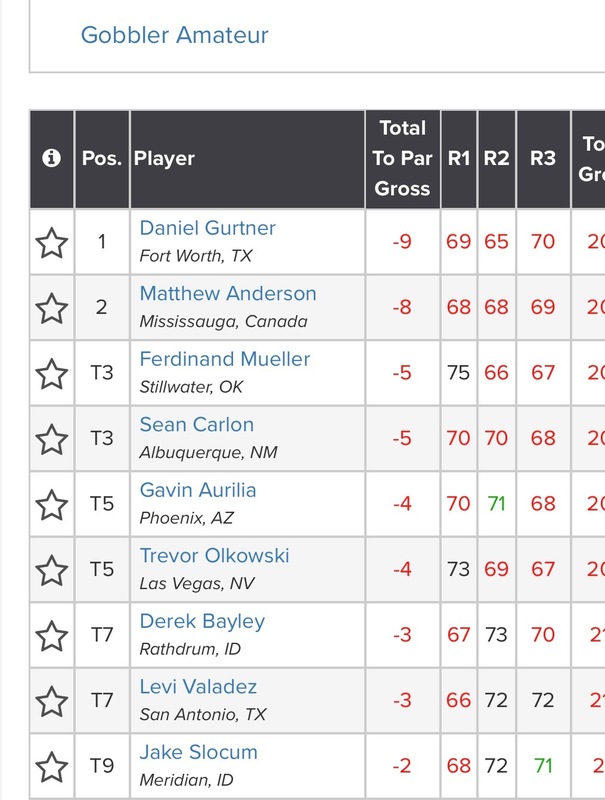 This was not a tournament for junior golfers. This was an event for the top collegiate golfers and amateurs from across the country. There were a total of 38 universities represented in the field. Jake is building confidence and getting better every day. When he starts playing at Iowa State in two years he will have total belief and confidence that he can he can play and compete with anyone. This kind of self-belief is essential for a junior golfer to achieve this kind of success. It’s my job to not only teach golf but instill self-belief and self-confidence in these young players. Jake works harder on the correct things than anyone I know, and it’s really paying off. Well done Jake!!! To Paul coaching is not his job, it's his passion. Paul Weyland, PGA Member, has been coaching juniors and adults for the past 10 years. He coached at the David Leadbetter Golf Academy, IMG Academies in Bradenton, Florida as a Certified David Leadbetter Instructor before opening Paul Weyland Golf, LLC in Idaho. He has successfully coached juniors to go on to play collegiate golf and many of them are now on professional tours, and he has helped reduce the handicaps of many adults. However, Paul's greatest pleasure is not just helping you improve your game. It's helping you improve your life.